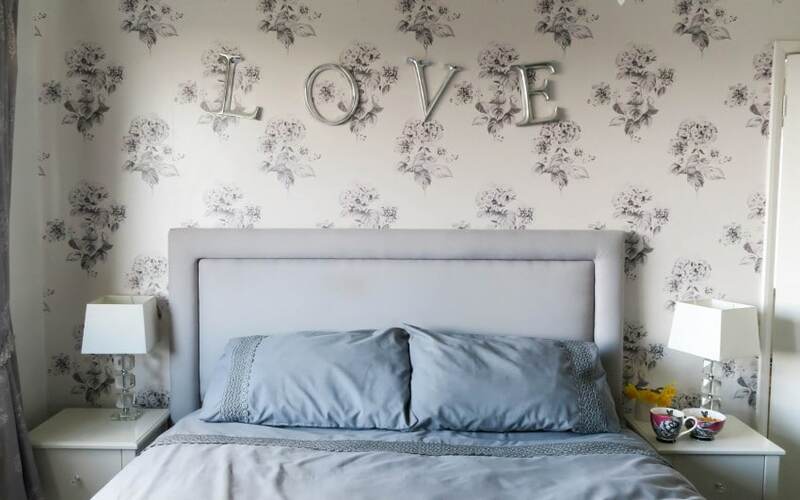 If you’ve flicked through the pages of a glossy magazine recently, pinned hundreds of gorgeous images to boards across Pinterest, or tuned in to watch your favourite reality stars complain about their enviable lives, then chances are you’ve already seen the bedroom design of your dreams. Sadly, for many of us, our budgets and our homes can’t compete with the lofty high ceilings and poolside bedrooms of L.A and TV. But there is a way to bring a look and feel of luxury to your bedroom without the hefty price tag. Unsure of where to start? Read on! Yes, seriously. If your carpet has seen tea or coffee spillages, contact lens solution puddles, baby milk disasters and nappy explosions, then maybe its time to invest in some luxury new flooring. A deep and thick carpet to sink your feet into on a morning, or a sleek, shiny hardwood floor design with straight, clean lines. If your budget is more modest then why not add a touch of luxury and class with a well placed rug. Head to a local carpet or flooring store and see if there are any at discounted prices. Yes, it’s not as glamorous as we’d like it to be either, but luxurious and glamorous rooms all have one thing in common. They are clutter free. That means no socks on the floor no odd earrings clinging to your dusty dresser, no more piles of magazines and clean clothes. Just clear surfaces and clean lines. If you do have a lot of possessions than now is the time to go through them and see if there’s anything you could part with. If not, invest in some chic storage solutions to keep everything neat and tidy. For an instant touch of elegance, try adding a tea tray. It might sound a little precocious, but many hotel guests get to enjoy the luxury of drinks brought to them on a silver or golden tray. It’s something special to add to your dresser or nightstand for an instant pop of glamour. Head to a charity shop and see if there are any available. Then simply give it a spray with some metallic paint – no one but you will ever know! You won’t find a glamorous room with a dingy overhead light fixture. No. If you want your bedroom to ooze glamour and luxury then good lighting is a must. A hanging pendant light or a small chandelier are the perfect choices. 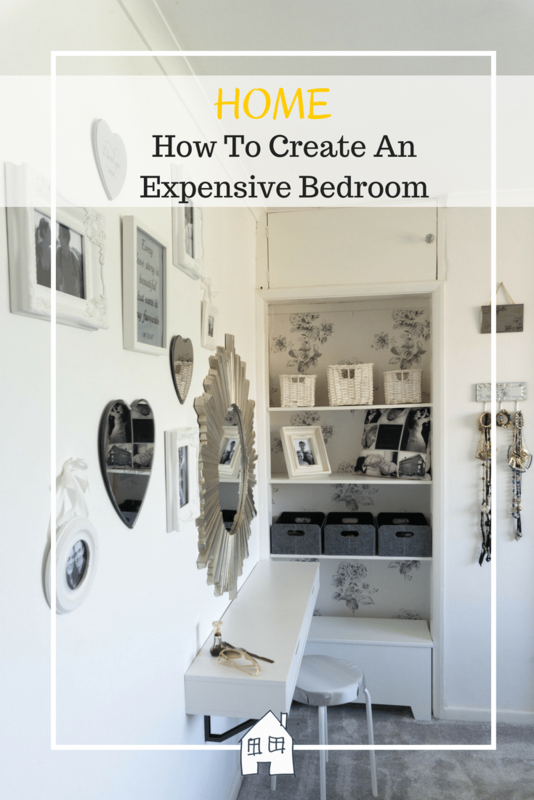 Just ensure that you choose the right size for your bedroom and that it compliments the other choices you have made in the room. For a final touch of luxury, try adding something that will really pop. A large piece of artwork above the bed for example, some quirky collectibles (not clutter!) or an antique throw over the beautiful chair you have in the corner. Think of something that will really make an impact the moment you step into the room. You’ve got some great tips there. I’m all about the light and less clutter since we moved to Portugal. 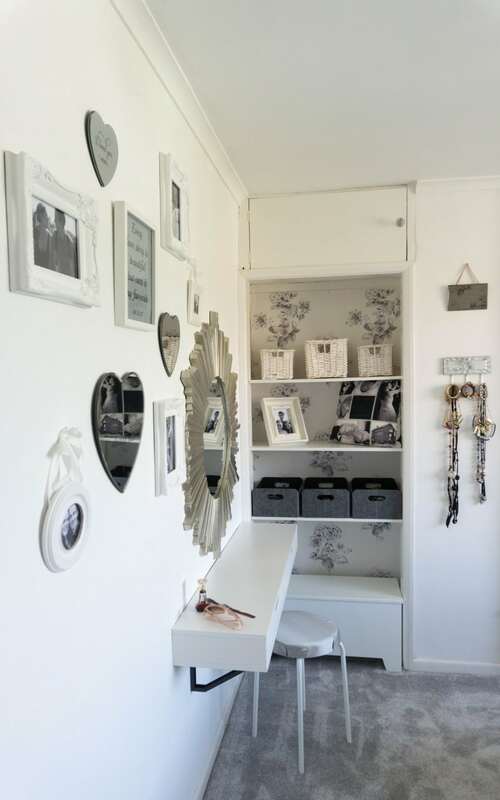 We’re hopefully buying a house next year and I definitely want lighter rooms than we had in the UK with lots of storage to keep it tidy! I feel de-cluttering changes the entire look of any room & I have a lot of clutter around my room. Bits & bobs, knick knacks here and there! I feel like they make my room what it is! Its a perfect space to put things isn’t it! I would love to have a tea maid machine in my bedroom!! Great post. I’m a bit bored of our bedroom but can’t do much with it as we are renting. But we can however declutter and change up our photos so I’ll have to do that. Thank you, oh yes fill it with some lovely accessories to change it up too. Gorgeous! We are doing our bedroom this month and I am still undecided on the style, I love this! Thanks, I love how calm it is at the end of the day to chill! I actually love the idea of adding a tea tray to a bedroom, so that you could have tea served in a traditional British fashion. Such a quaint and charming experience . I love tea in bed, breakfast in bed is the best! Would be nice to keep on top of it so it’s not such a big job! Great post this. I always think you can never have too many uplights in a bedroom lol.